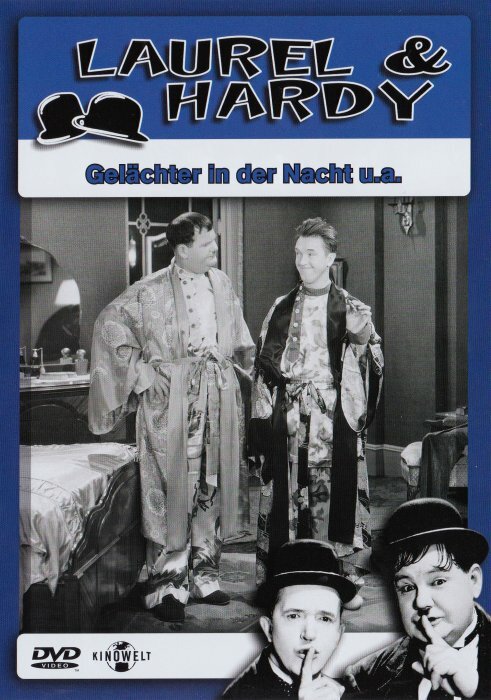 Series: All Stars with Laurel and Hardy ♦ Distribution: Pathé ♦ Director: Fred L. Guiol ♦ Cinematography: ? 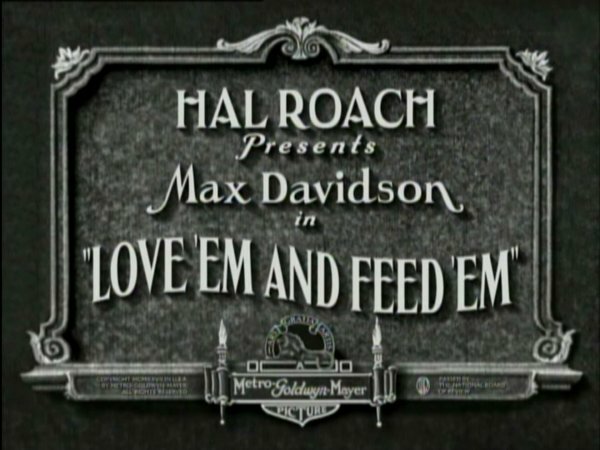 Production: S-24 ♦ Type: Silent short ♦ Producer: Hal Roach ♦ Editor: ? 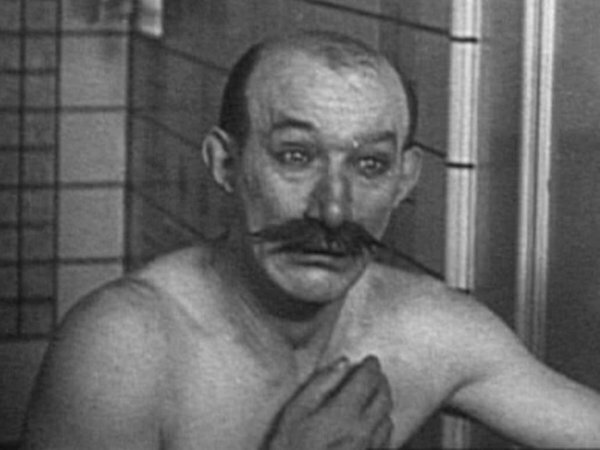 The film begins with a crowded courtroom and Judge Foozle (James Finlayson) presiding over a case where the defendant (a bearded Noah Young) is charged with killing two China-men - seriously. 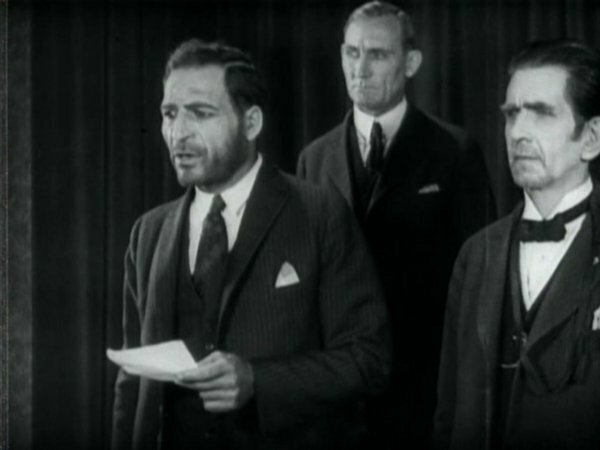 The jury of twelve men find him guilty. The judge, not content with containing his glee at the verdict, makes a motion with his arm in the shape of a hanging and tells him "I hope you choke!" The defendant then issues the judge a death threat, saying he will escape and come back to cut out his tonsils before making a lunge at the judge. Pandemonium breaks out and the courtroom clears. Back at the judge's house he is sitting at the dinner table with his wife (Viola Richard) when she picks up the newspaper. The judge sees the headlines on the reverse which reveals the defendant has indeed carried out his courtroom threat and has escaped. Foozle freaks, spitting out his drink and panics. Outside the escaped convict heads towards the house with an accomplice and tells him his only intention is to get revenge on the judge for sending him down. 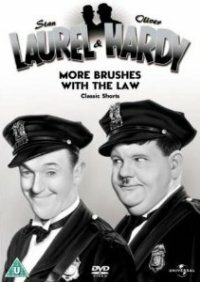 The judge, having seen the newspaper is straight on the telephone to the detectives agency demanding the two bravest men they have. 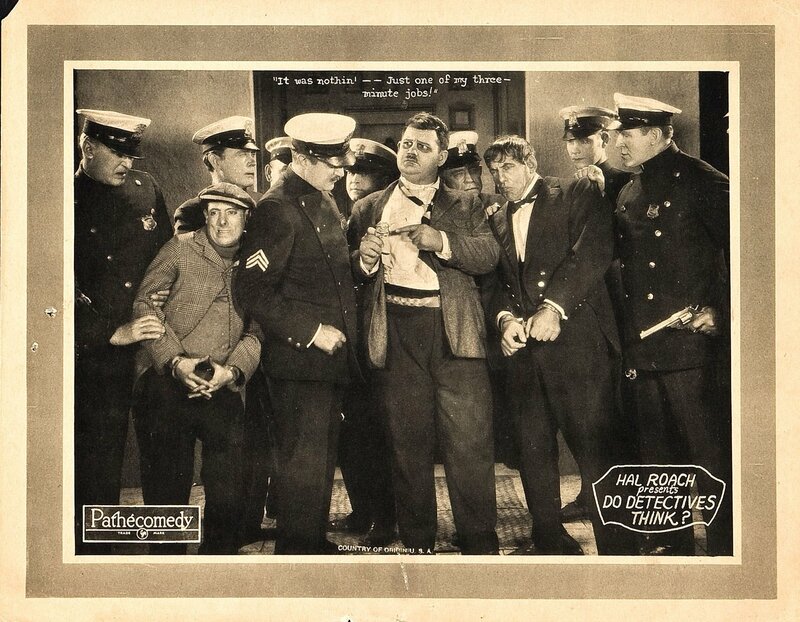 Stan and Ollie are hired by their boss (Frank Brownlee) to protect the judge. 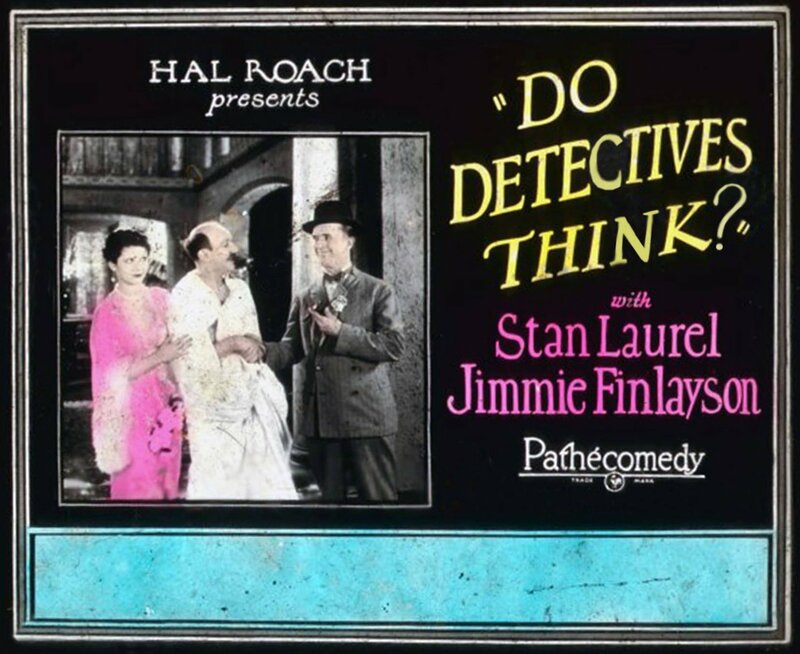 Stan is Ferdinand Finkleberry - the world's second worst detective. Ollie is Sherlock Pinkham, the worst. 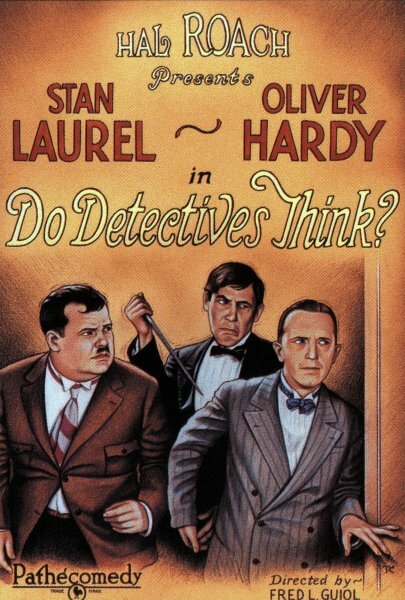 Their boss informs them of their duties and Stan is eager to flash his detective's badge but Ollie is just as eager to show his displeasure for him doing so. Ollie then goes to sit on the desk but insteads sits down on a letter spike and leaps up into the air. 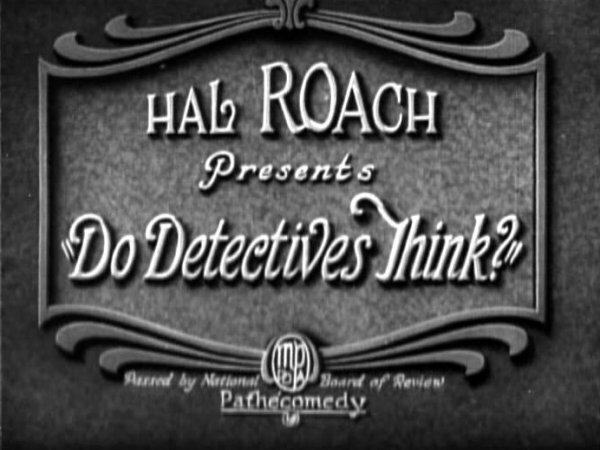 The bumbling duo seem confident - until they hear the judge lives close to a graveyard. Stan checks the barrel of his gun but in doing so accidentally fires off a shot in the office, sending the boss flying off his chair. 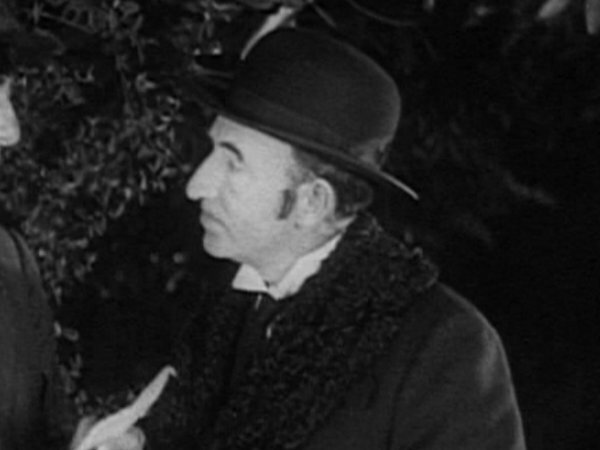 Back at the judge's house, the lurking 'Tipton Slasher' accosts a gentleman out on the lawn who informs him he is the new butler that they had sent for. It's perfect. 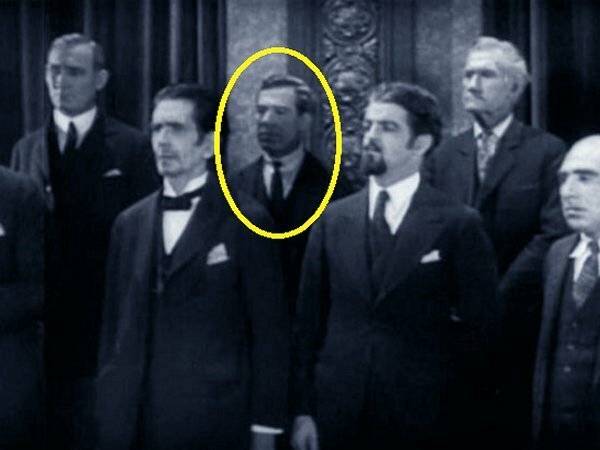 The Slasher disrobes him and will use the butler's disguise to get close to the judge so that he can carry out his threat. He rings the doorbell and the sound of it startles the judge into jumping behind his sofa. 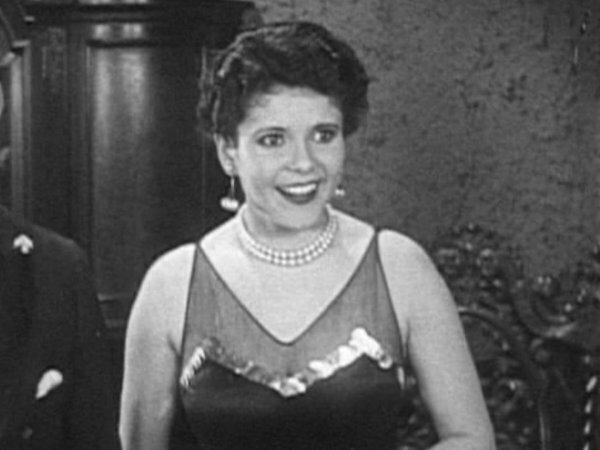 Mrs. Foozle answers the door and the Slasher introduces himself as the new butler. He is barely inside the house before he starts scanning the area for the judge. 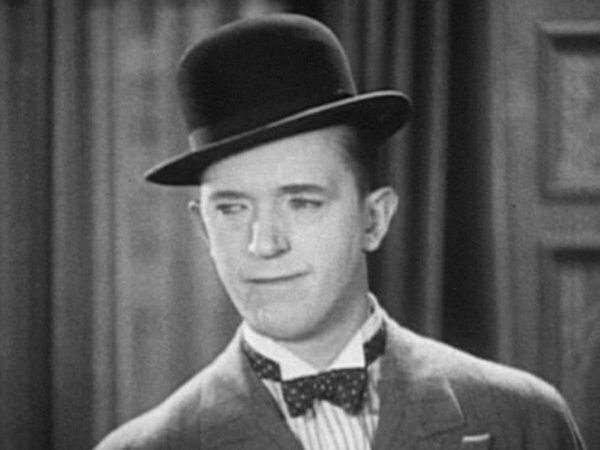 As midnight approaches, the detectives make their way on foot towards the judge's house, walking past the cemetery when all of a sudden Ollie's hat is blown off by the wind. He nervously looks into the graveyard and sees his hat lying next to another on the ground by a tombstone. He calls Stan, who thinks it's funny until his hat is also blown off. 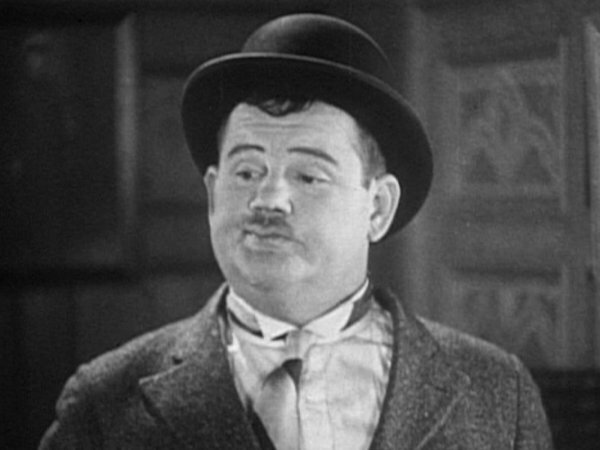 As Stan begins crying Ollie makes him go into the cemetery and retrieve the hats but when he walks in he is frightened by his shadow and runs out again. Ollie offers to go instead but his hesitancy is punished when Stan falls over and accidentally pushes him in. Moments later he comes running back out! 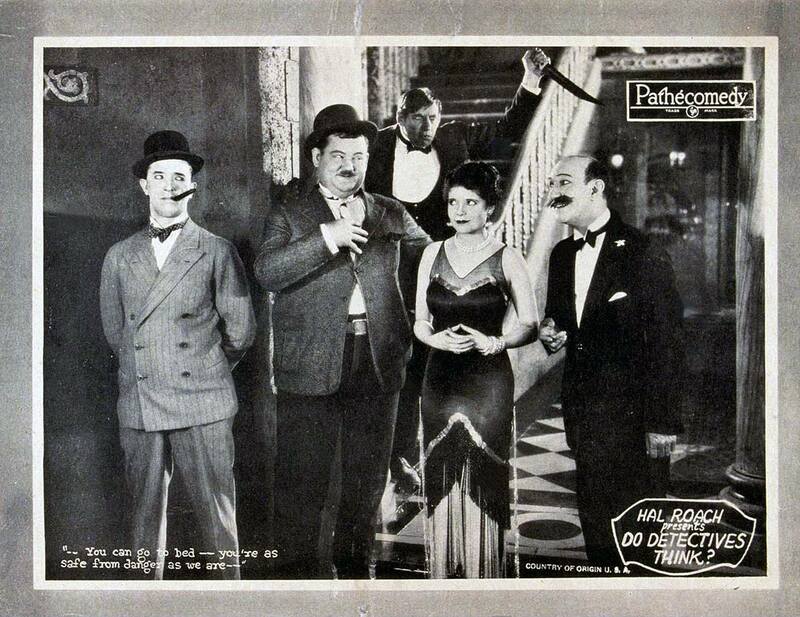 The boys compose themselves before Ollie orders Stan back into the graveyard to fetch the hats. 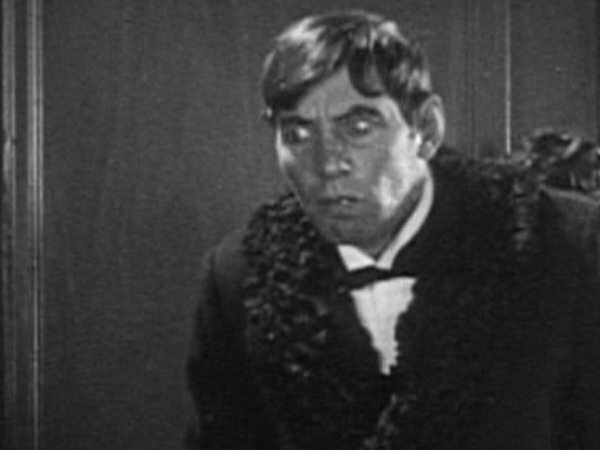 Stan obliges but soon becomes scared of his own shadow as he takes refuge behind a tombstone. He picks up a conveniently-placed rock to protect himself and finally grabs the hats and runs out. In the excitement they put on each other's hats by mistake. This gag is repeated almost to the point of boredom and predictability before they move on. They don't get too far before they are disturbed the sound of rattling cans. We see that a goat has climbed upon a pile of cans but the boys see the reflection of the goat's projected head on the wall and believe it is the devil. 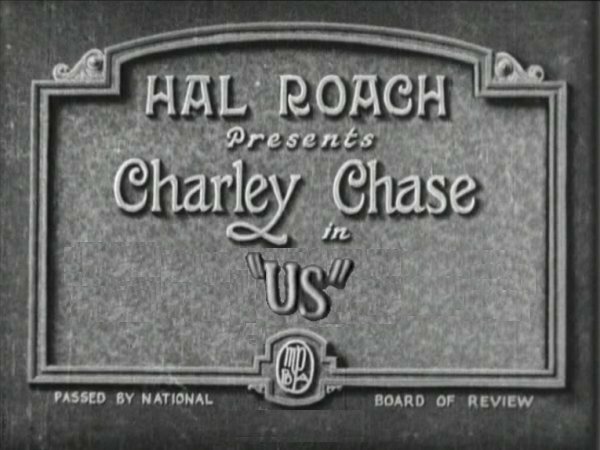 It's an awful gag and this is followed by an equally-bad scene where there boys are seen running for their lives. Judge Foozle is served by his 'butler' and when nobody is looking the Slasher pulls out a ridiculously over-sized knife to make his move but he is thwarted when Mrs. Foozle enters the room. The doorbell goes and the judge jumps behind the sofa and hides. 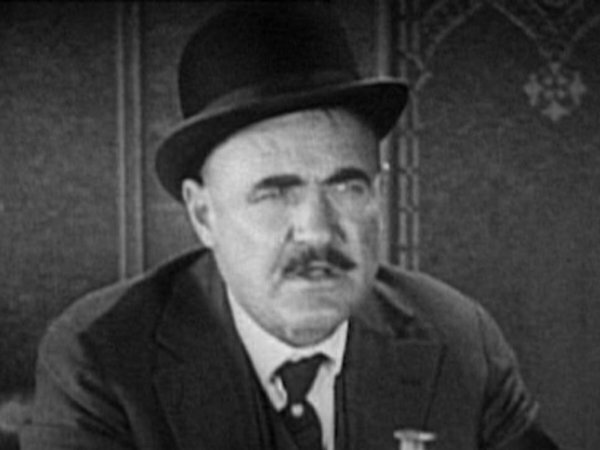 Butler Tipton invites the boys into the house (Ollie first, Stan a bit later after he is initially left on the doorstep) and the introductions and formalities are observed. When asked if the boys can handle a gun Ollie replies that William Tell was his uncle! 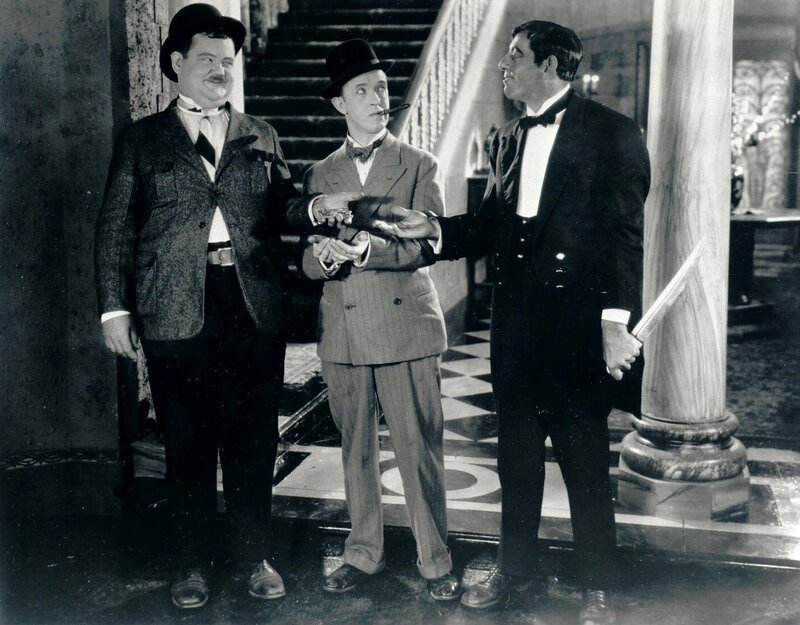 To demonstrate their competence Ollie has Stan place an apple on his head whilst Ollie attempts to shoot it off but instead he hits a statue, shattering it into pieces. When the Foozles aren't looking Stan rolls the apple off his head and into his hat so that everybody assumes the apple was shot off the top of his head. 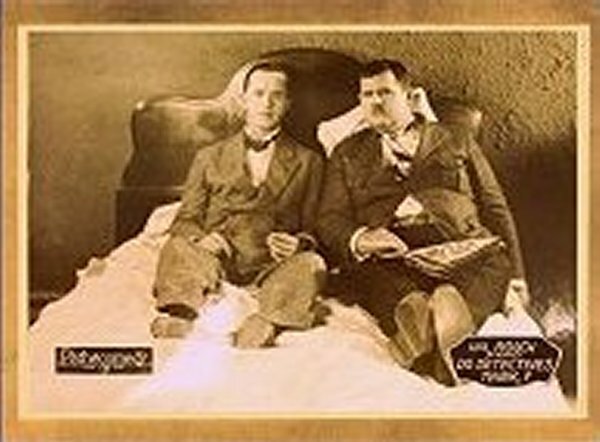 With confidence restored, the boys retire to their bed as the butler attends to the business he originally came to the house for - to get his hands on the judge. 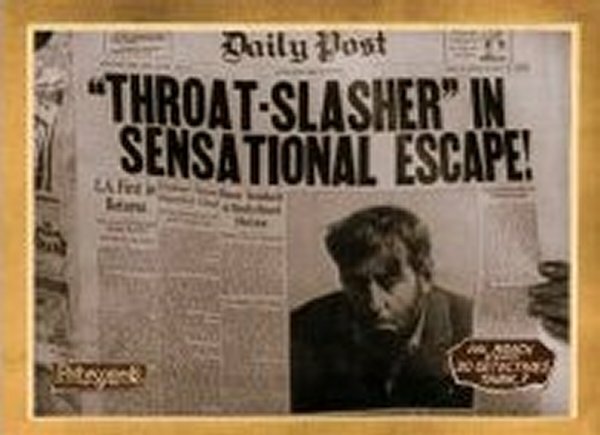 Ollie sits in bed reading the newspaper when he sees the main headline regarding the escaped Slasher but neiher he or Stan can place the photograph. 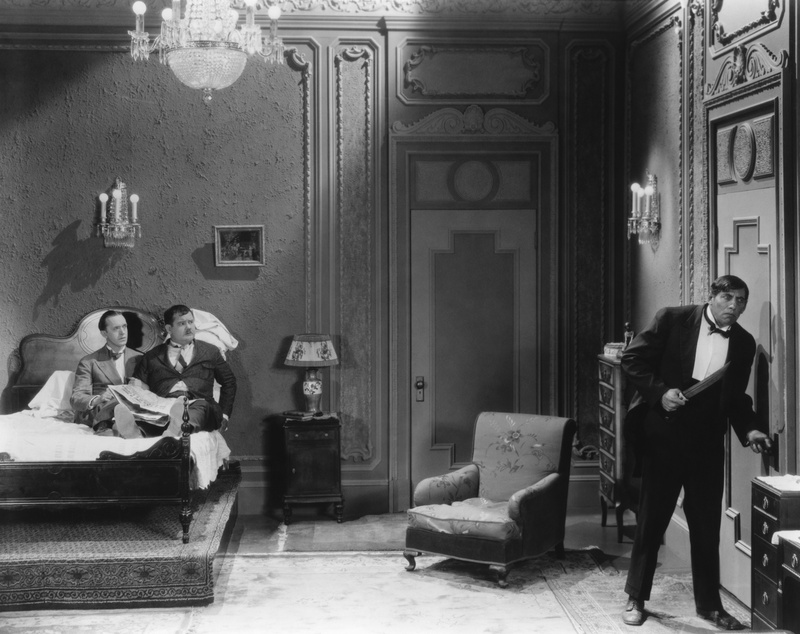 As Mrs. Foozle is preparing to go to bed herself the butler enters her room with the knife. Her screams are heard all around the house as her husband is in the bath and the boys sit in their bed. 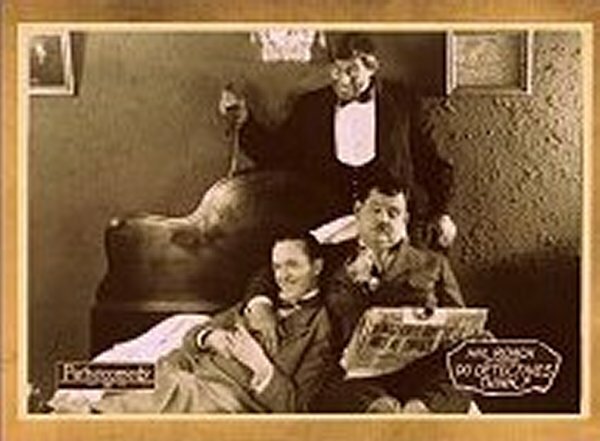 The penny drops and the boys realise the butler is the man in the newspaper photo and set about getting their hands on him, though Stan is reluctant as he continues to jump onto Ollie's back for comfort. 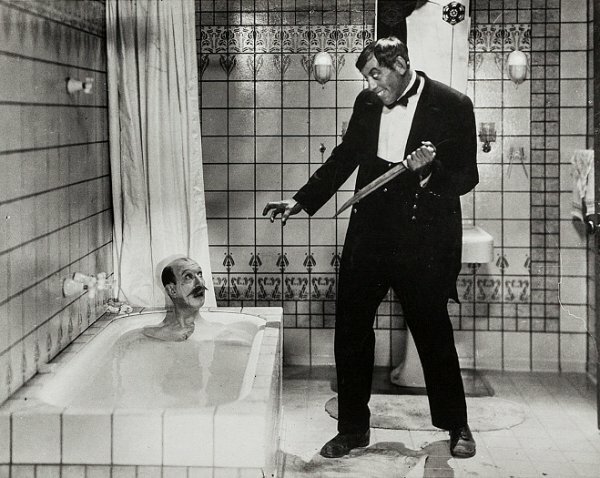 The Slasher enters the bathroom where the judge dives under the water to avoid detection. Back in the bedroom, Stan accidentally fires his gun and everybody panics before spilling out into the hallway where the Slasher sees Stan and follows him, ready to pounce with his silly-sized knife. 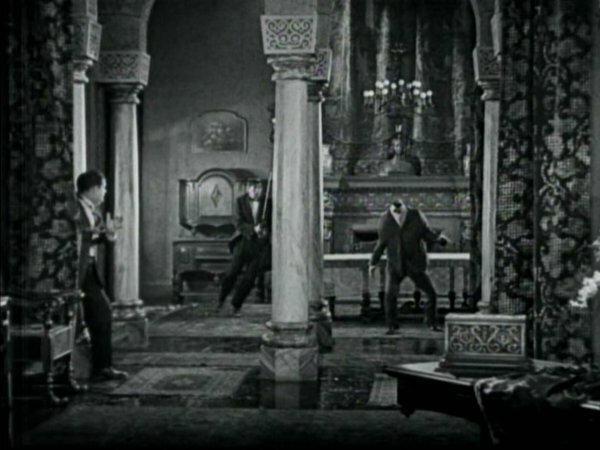 Ollie nervously fires his gun and the three men end up on the floor wrestling with one another. 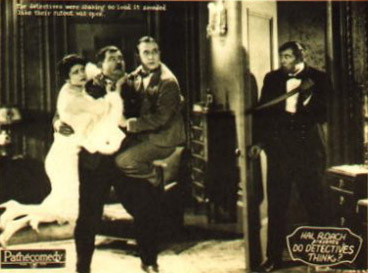 The handcuffs come out and after a brief tussle all three get to their feet only to find it is Ollie who is cuffed. They run away as the Slasher goes in pursuit of an even bigger knife. He finds one on the wall so outrageously huge that it defies belief. He chases Stan around the house (see Favourite bit), smashing up all the vases and ornaments as Ollie hides in a closet. Mrs. Foozle investigates, gun in hand, and fires a shot off, sending the judge down the stairs. He knocks off a mask from the wall which attaches itself to the back of his head and with the white robe that he is wearing it gives the impression of being a ghost. The Slasher runs at the judge but a well-placed trip from Stan hiding behind a curtain brings him down. 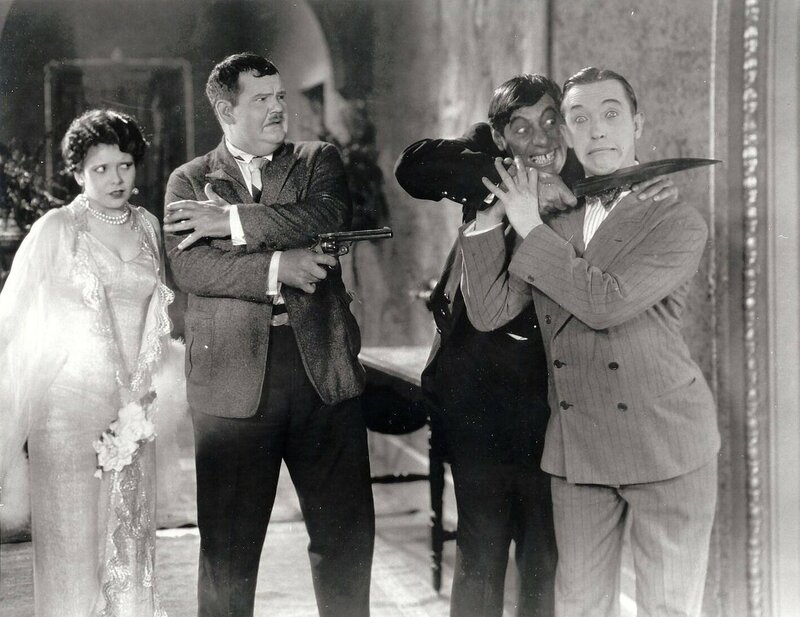 Stan finds some courage and with a fake gun in his pocket directs the Slasher into the nearby closet (yes the same one Ollie is in). 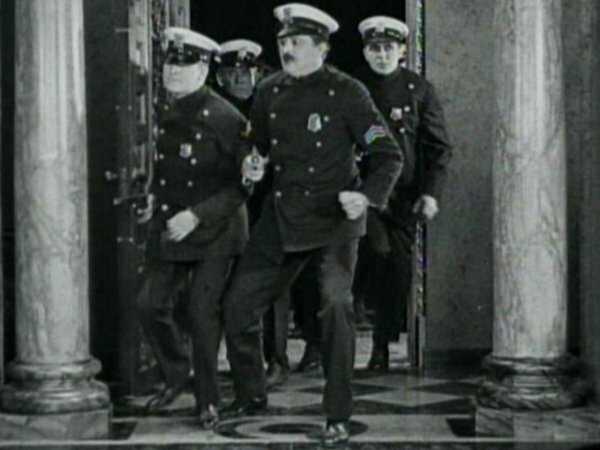 The judge's mask is removed by Stan and the cops rush into the house. They open up the closet and a dazed Ollie falls to the ground as the Slasher is escorted out of the building. 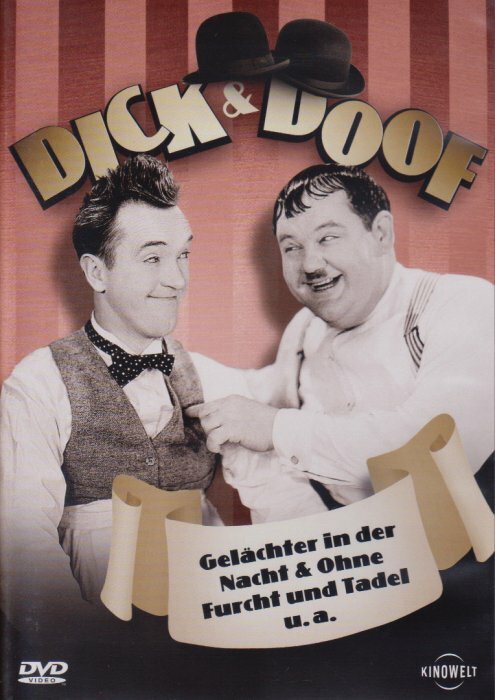 The last scene has both Ollie and Stan leaving the premises with two black eyes and each wearing the others hat. Oh this is a great scene! 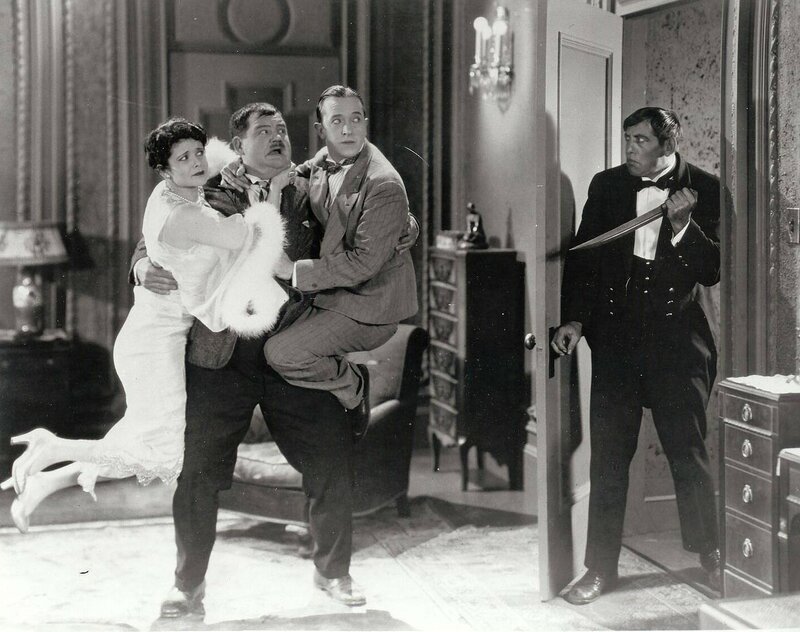 The Slasher (Noah Young) is after Stan, who is running around the house trying to escape from his enormous knife. 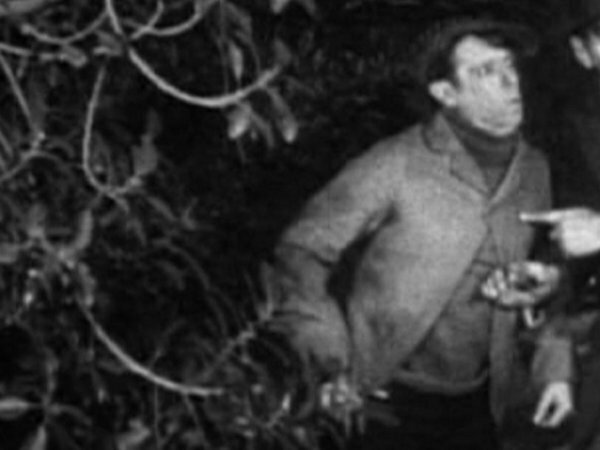 They run off camera before returning shortly afterwards with Stan's head deep in his collar and the maniac wielding his weapon, giving the impression that Stan's head had been chopped off. 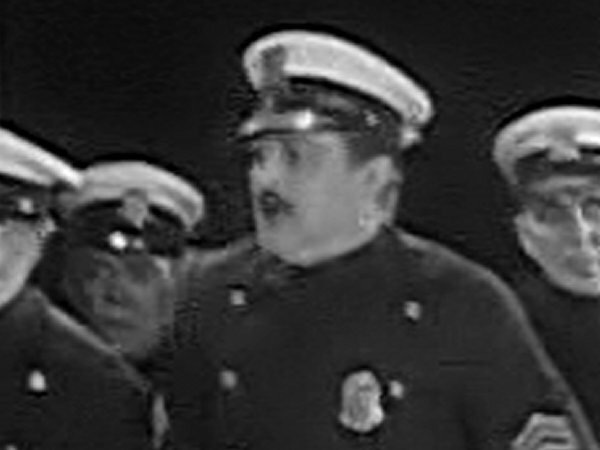 What a sight gag! 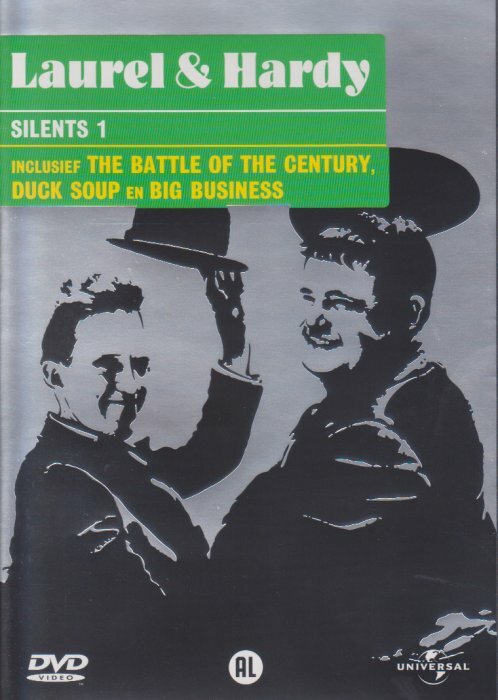 • Production S-24 - All Star series with Laurel and Hardy. 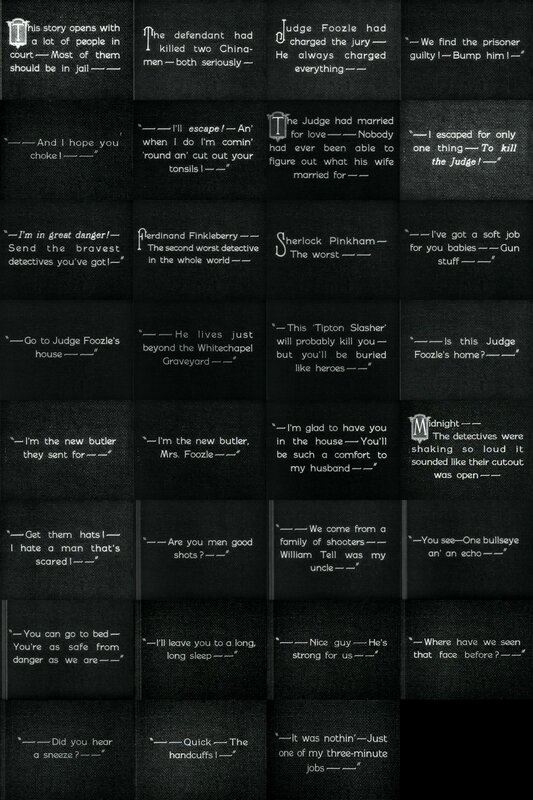 • Copyrighted July 8, 1927. 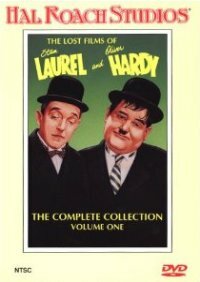 • Also listed for November 29, 1927. • April 25 - May 6, 1927. 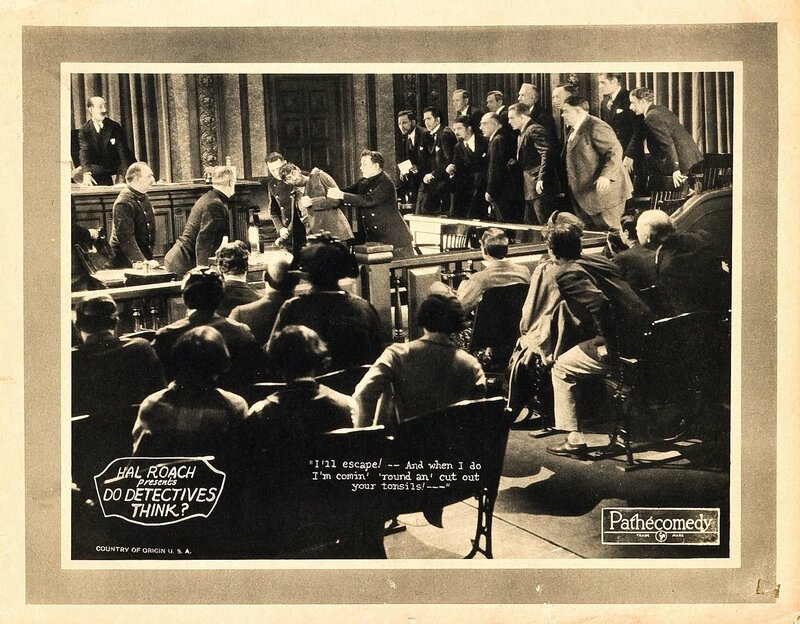 • I think one of the jurors is James Gavin. 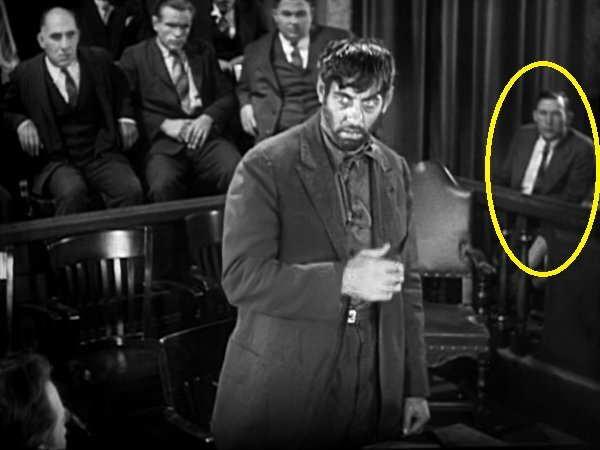 • The opening courtroom scene is similar to the later film Going Bye-Bye! -Honor Steinbach at Realty Board election. • When we first see Ollie (after 3 minutes!) he has two cigars in his jacket breast pocket. • The word private is etched into the glass on the agency's door. • There is a fire hydrant in front of the cemetery gates - which are open when we first see them. When the boys' shadows are reflected on the white wall behind them the reflections are not consistent with the direction of the streetlamp that is there. 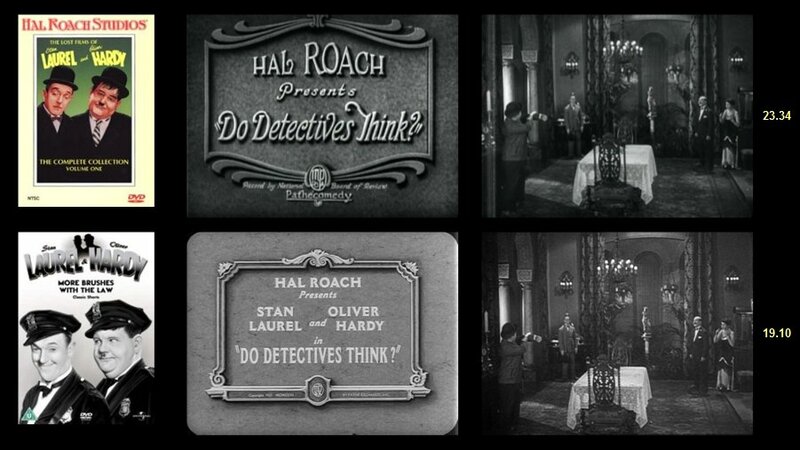 • After Ollie's hat blows into the cemetery the scene cuts away to reveal two hats lying on the ground - this is before Stan's hat blows off. A continuity mistake. • When the boys are seen running down the street away from the goat it is obvious they are running on the spot and against a moving backdrop film of the wall. • That dress Viola Richard is wearing doesn't do much to hide her cleavage in certain shots. In one shot when she welcomes the boys into the house, she is standing on the right of the frame and leaning slightly forwards. This shot reveals a pretty good look at her backside too! • You just have to laugh at how quickly the water drains from the bath when Finlayson pulls out the plug with his leg! 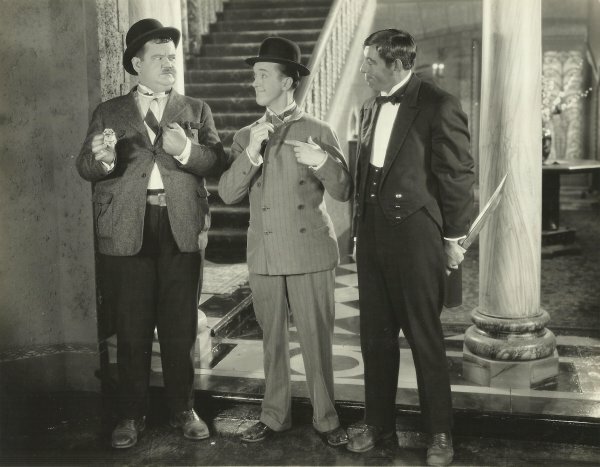 • When Ollie, Stan and Noah Young are all wrestling around on the floor Stan manages to handcuff Ollie and stick a victory cigar in his own mouth in such a short amount of time. How on earth did he do that? • Five policemen rush into the house at the end. One of them is Chester A. Bachman.